Virginia Mason Health System has been a standard-bearer for reducing waste and creating a value-based healthcare experience no matter the payment model. 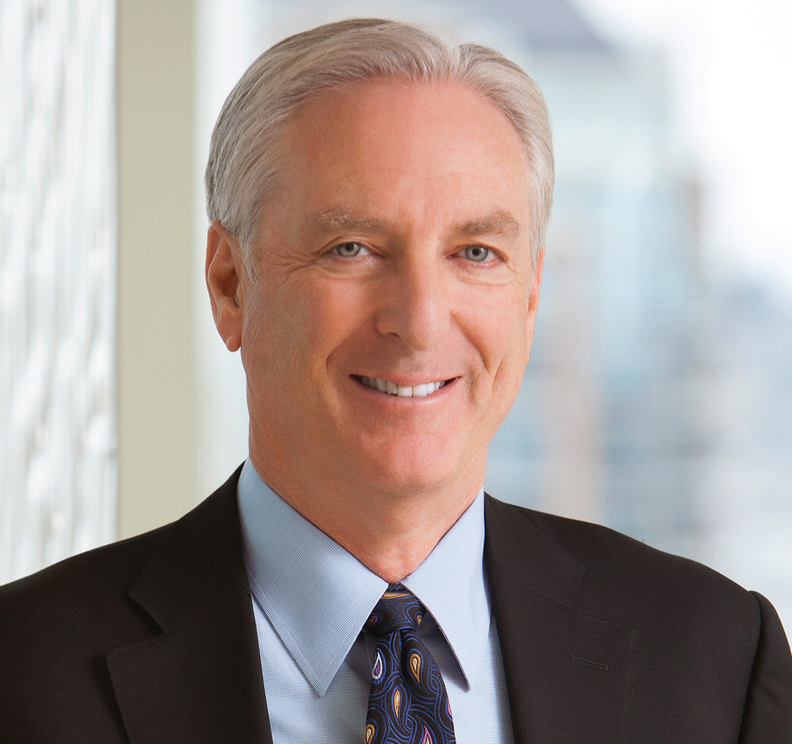 Leading that drive since 2000 has been Dr. Gary Kaplan, chairman and CEO of the Seattle-based system. He's a firm believer that health systems can't wait for the payment model to change in order to create a high-quality, high-reliability organization. “Rationalizations for fee-for-service-driven inappropriate care should no longer be offered by physicians and physician organizations and should no longer be accepted by patients, payers, and society,” he argued in a March 27 New England Journal of Medicine Catalyst essay. Kaplan serves as chair of the Institute for Healthcare Improvement/National Patient Safety Foundation Lucian Leape Institute and is immediate past chair of the IHI's board of directors. Kaplan recently spoke with Modern Healthcare Editor Aurora Aguilar. The following is an edited transcript. MH: There's been a lot of talk about disruption this year. Where do you think the industry stands right now and what challenges are ahead? Kaplan: That's a big topic. In many ways, it's a wonderful time to be in medicine. We obviously have advances in science and technology that inform those of us who are really focused on care delivery, but I also think it's an exciting time because we are learning about what it takes to be a high-quality, high-reliability, safe industry, and that's, in many ways, where our focus is at Virginia Mason. We feel a moral imperative to strive harder and harder on patient experience and ensure the highest quality, safest care. We think the pathway to higher quality, safer care can be the same pathway to lower cost. People talk about value, but you have to think about it at a much more granular level. It's not just, “Hey, they're good value,” or, “They're better value.” There's a simultaneous focus and attention on quality, safety, patient experience, but also cost, even in a fee-for-service delivery system. MH: Of the initiatives you've taken to try and lower costs and improve care, where have you been most successful? Kaplan: It's really about applying the systems engineering approach to care delivery. We call our approach the Virginia Mason Production System. We use Lean tools, but today, almost 17 years later—we've been doing it longer than anyone in the world in healthcare—it is continuing to drive breakthroughs in quality, safety and lowering cost. We're very focused now in translating that through centers-of-excellence work with Fortune 100 companies and the Pacific Business Group on Health. One of the things that I think is critically important, that has great opportunity, is over-utilization of diagnostic and therapeutic interventions. So, appropriateness. I'm excited about the work we're doing with the state of Washington and Fortune 100 companies, in terms of centers of excellence. The reason they've chosen Virginia Mason is because of high reliability and appropriateness. Just one example that was recently written up in the Journal of Spine, that said patients are sent to us from around the U.S. for complex spine surgery by companies like Walmart or Lowe's or McKesson, JetBlue and others. They're told in their community, they need spine surgery, but 58% who come here expecting to have surgery leave without it because surgery was not the best option. And I think the numbers now are less than 1% of those subsequently have surgery. That's because they never had a trial of conservative therapy that was adequate. They never had shared decisionmaking. Their own personal life context was not adequately brought into account when determining the best interventions, including spine surgery, which has very high complication, morbidity and even mortality rates. So you don't want those things unless you need to have them. That's, in many ways, how we've taken the Virginia Mason Production System to the marketplace, and have tried to translate that into value for our patients and purchasers. MH: I'm sure you heard the recent news about GM and Henry Ford Health System entering into a partnership that has a strong primary-care aspect. Do you foresee more of those types of arrangements? Kaplan: I don't know the details of the contract. But you highlight preventive-care issues, which are critically important to population health, which means different things to different people, and in my mind, is not necessarily linked to a payment method. A lot of people are going to equate population health and capitated care, or at-risk. We've got lots of ways we're deploying that in our system that are still almost exclusively fee-for-service, or heavily discounted fee-for-service. I also think direct-to-employer contracting is important, and figuring out what's important to them. In 2006, 2007, we worked with Starbucks, Costco and Luxair Airlines to understand their spend, and one of the interesting things that I still marvel at is, we thought the spend was only going to be in ICU and things of that sort. But things like upper respiratory infections, low-back pain, headache—many of those are best cared for by primary-care physicians and many things will lend themselves to prevention. I'm bullish on changing the payment system, but I'm also not content to wait for that for doing the right thing. We think about quality as technical outcomes, but also functional outcomes. Did the patient get back to work, did the patient get back to recreation, things that were important to them? All of that has to be modified by appropriateness. We could do a great procedure with a great outcome, delight the patient and family with great experience, do it efficiently with no waste, but if the patient didn't need it, there's no value there. You may have seen my New England Journal of Medicine Catalyst paper, “Time to sink the two-canoe argument,” (March 2018). You've heard people like me say, “Woe is us. We got one foot in the fee-for-service canoe, one foot in the pay-for-value canoe, and we just don't know what to do.” What I said in the paper was, “In many ways, that's morally bankrupt.” That basically says, “Until you pay us differently, we're gonna keep ordering unnecessary tests, doing unnecessary procedures.” We've got to be very honest with ourselves; that's not what we need as a society and it's not what we need as an industry. MH: I want to ask about fair pay for employees. Tell me a little bit more about your philosophy, or your thought process, behind addressing this as an issue of importance for Virginia Mason employees. Kaplan: Our people are our most valuable asset and we need them healthy, we need them engaged, we need them at work. That means attending to their own personal as well as psychological well-being. Healthcare is a stressful place to be, so we've invested in our employees and our healthcare benefits. We are partnering with a company called Vera Whole Health, which actually has a clinic on our premises focused on wellness and behavioral change. We also think psychological safety and well-being is critically important, and so we're right in the middle of our respect-for-people training, which is very innovative. This is our second mandatory respect-for-people training, and when I say “mandatory,” that means all of our staff, including all of our physicians, participate. We engage an improv acting troupe in Seattle. They put together a program based on clinical vignettes that come from Virginia Mason team members, and we talk openly and actively about building and maintaining a culture of deep respect. MH: In line with that, can you talk about the art and medicine program? Kaplan: We've worked with our local community—the Seattle Art Museum—to help. Being in healthcare is hard work. Being a physician, a nurse, a caregiver, is difficult work. You hear about burnout, you read about depression, you read about disaffection; a loss of connection. What this program does is help connect to the humanistic side of what it means to take care of patients. So it's thinking about art and its role in our society and the healing aspects. It's the diversification and rounding up of experience in ways that I think can add huge value for our residents and eventually add huge value for all concerned, particularly our patients and their families.